An acronym for founder Ingvar Kamprad and his boyhood home place, Elmtaryd, Agunnaryd, the IKEA Group began operating in Sweden in 1943. IKEA is one of the world’s top furniture retailers, employing 118,000 co-workers in 40 countries. IKEA sells Scandinavian-style home furnishings and other housewares in about 250 stores in 34 countries. The company designs its own furniture, which is made by about 1,350 suppliers in more than 50 countries. Flat packs play an important role in efficient distribution. IKEA has 31 distribution centres and 11 customer distribution centres in 16 countries. In 2006, over 522 million people visited IKEA stores. In December 2006 planning permission was granted for the IKEA Belfast store. Located at the Holywood Exchange on the outskirts of Belfast, this is the first IKEA store located in Ireland. At 29,000 sq meters, the IKEA Belfast store spans the equivalent area of five and a half football fields and is one of the Swedish retailer’s flagship stores. The two-storey development comes with 1455 car parking spaces and includes a multi-storey car park, a 500 seater restaurant, a bistro and a Swedish shop, and the store stocks the full range of IKEA products totalling 9,500 items. The IKEA Belfast store opened its doors at 10am on Thursday 13th December, 2007. 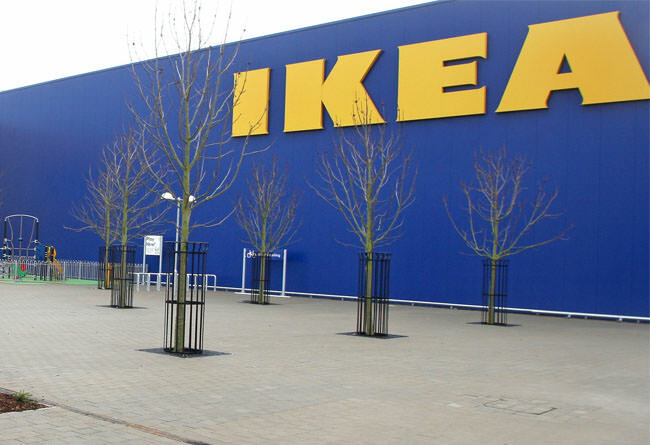 IKEA invited companies to tender for the installation of its security system at the Belfast site. Building Protection Systems (BPS) was one of five companies to place a tender and was awarded the contract. BPS won the contract not only because of its experience and track record but also due to the cost savings it could offer IKEA, and its responsiveness in understanding the exact requirements of such a large development. As an experienced security installation company with over 25 years in the field, BPS worked along side the pcm management (project managers) and Wallace Whittle (services design consultants) to agree on the design of the overall solution. 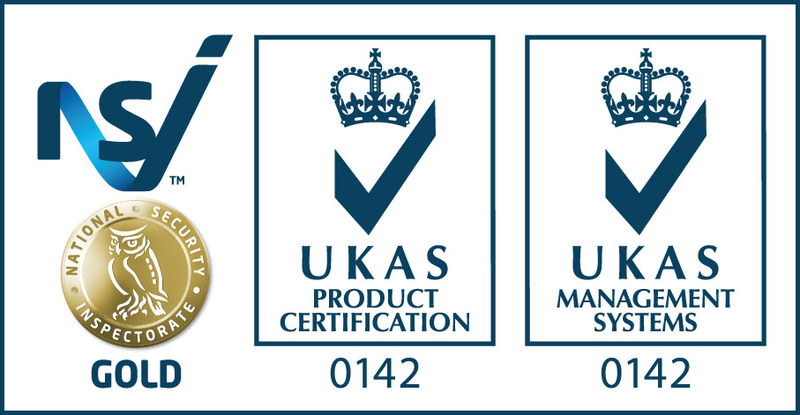 “We were very impressed with BPSs knowledge and understanding of what the security installation project required. They demonstrated their strengths well and identified points that had not been considered in the development of the security system. We felt confident in the company’s skills and ability to meet the tight deadlines,” explains Tim Radford, M & E Project Manager of pcm management. The award winning Honeywell Galaxy G3 intruder alarm system was selected as the ideal solution for the project due to the coverage required and the size of the IKEA store. The Galaxy G3 has already been installed in several IKEA stores throughout the U.K., and was therefore a tried and tested solution that could deliver the capacity and reliability required. The security provided also included an intercom system and panic alarm system which were specified by IKEA. The final security system consisted of the Galaxy G3 panel which has the capability to cover up to 520 zones, ideal for the size of the IKEA store as it means that it can be expanded in the future if required. The system also included 32 Smart Remote Input/Output units (RIO’s), 16 ordinary boxed RIO’s, three keypads, one ethernet module, 54 Dual Tec® Motion Sensors with MaskAlertTM, ideal for commercial premises, 14 adjustable range glass break detectors, a number of magnetic contacts, 32 sounders alerting locally at monitored doors, 54 panic buttons and 7 long range Dual Tec® sensors with Anti-Mask and range reduction. The Honeywell security system provided a competitive solution that was quickly and easily installed saving both the installer and end user time and money, providing IKEA with value for money and the knowledge that a reliable security system was installed. The Honeywell security system was specified by IKEA as it has already been installed in IKEA stores throughout the U.K., and was therefore a tried and tested solution that delivered exactly what the customer required. One of the key benefits of the Honeywell Galaxy G3 security system is the functionality it provides with the capability to expand the number of zones, and connect to a computer to provide a real time display of the active zones. This feature, combined with the option of graphical displays, allows site security staff to rapidly assess system information and react quickly when an alarm occurs. Programming of the system was carried out using Galaxy G3 Series Remote Servicing Suite software. This allowed programming to be completed in a short timeframe. Due to the ease of installation of the Honeywell Galaxy G3 system, the building schedule did not have to be changed, allowing the project to be completed on time in line with the scheduled official opening of 13th December 2007. BPS has demonstrated its capabilities and customer focus in delivering a comprehensive security system meeting all of IKEA’s requirements, on time and within budget. The Honeywell Galaxy intruder alarm system is one of the most extensive systems currently implemented in Northern Ireland, and reflects the high standards that BPS consistently strives to deliver.